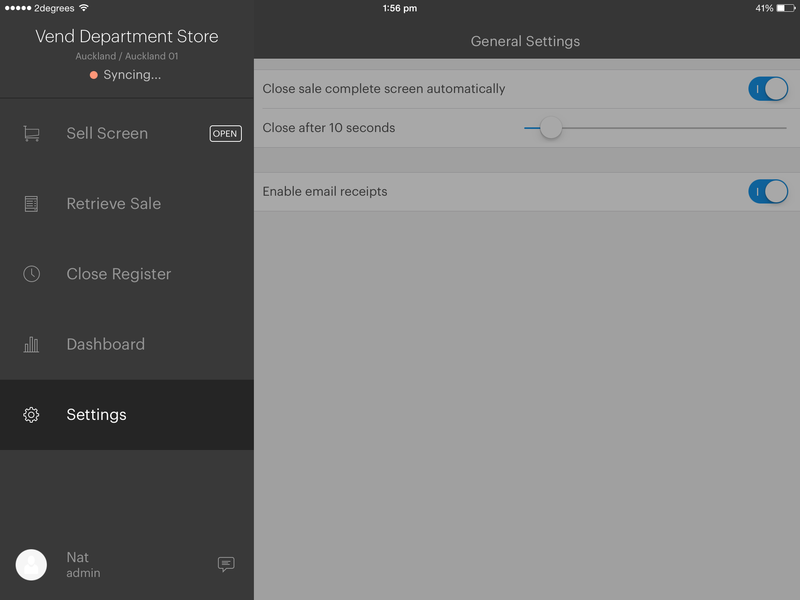 Setting up your Epson TM-T82II for iPad – How can we help? 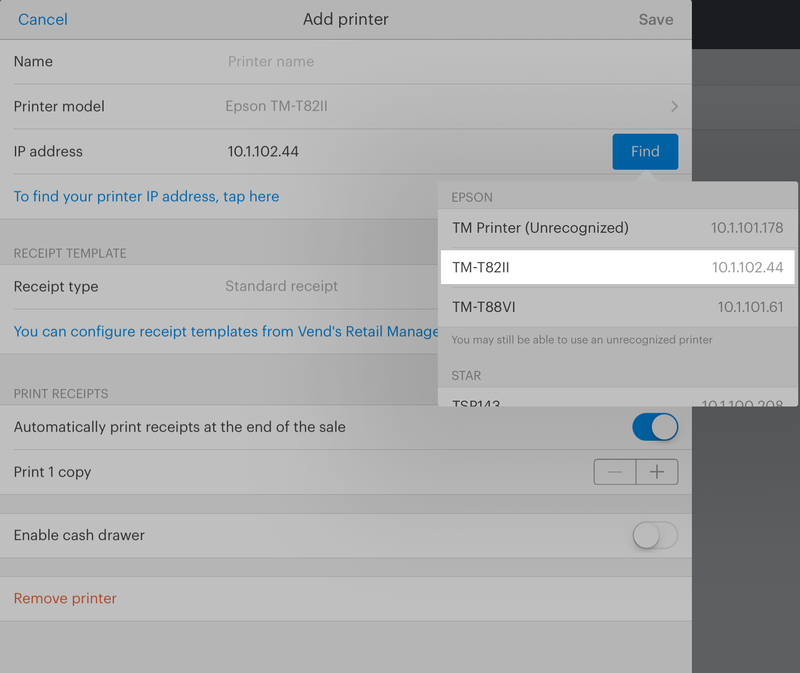 This guide provides step-by-step instructions explaining how to install an Epson TM-T82II for iPad. Important: These are the instructions for setting up your Epson TM-T82II on your iPad. Click the links here if you are using PC or Mac. Before getting started, you'll need the test receipt with the IP address on it. To get this, press and hold the 'push' button on the back of the printer for about 4 seconds. 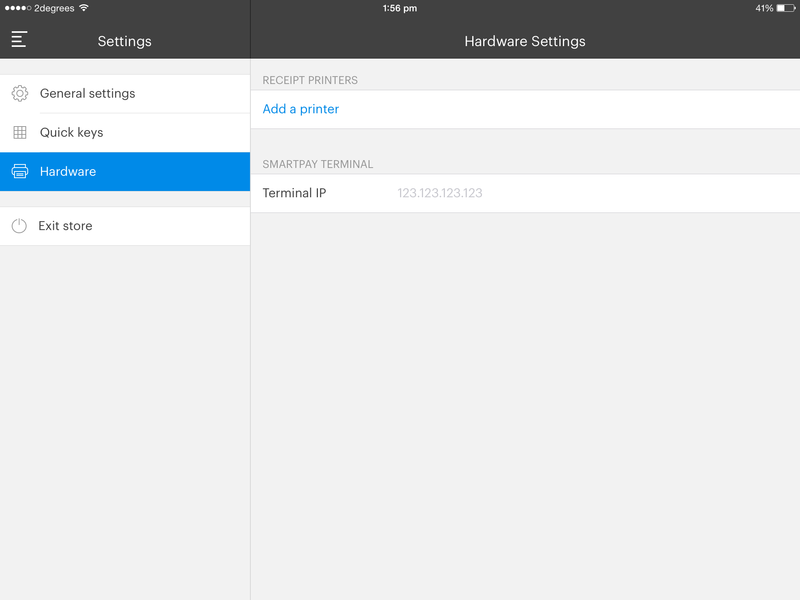 The printer will print out the network settings, and you should see the IP address listed up the top. Note If the IP address on the settings receipt says "NONE", the printer is not connected to the internet. Double check the ethernet cable is connected securely to both the back of the printer and the router and then press and hold the 'push' button again. 4. Tap the blue Find button. 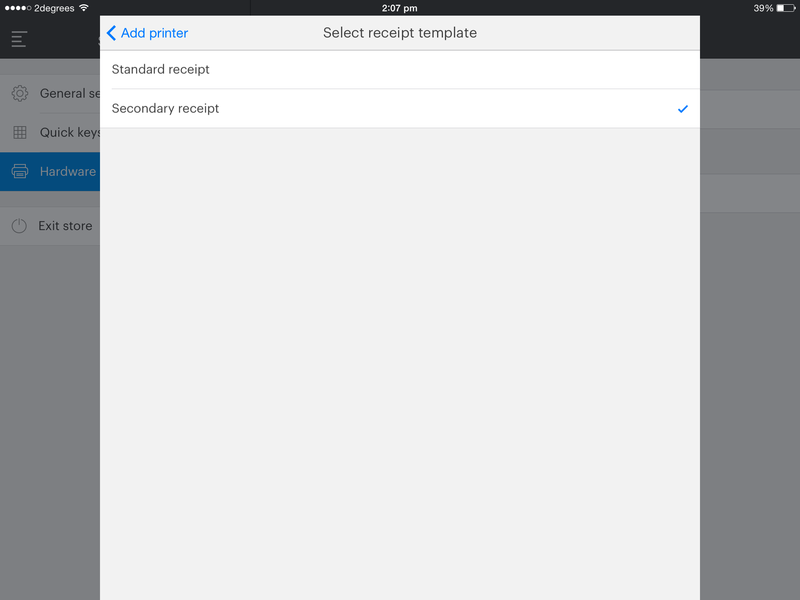 To auto-add your printer select “TM-T82II”, if available.